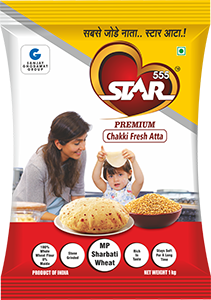 Star Premium Chakki Fresh Atta is made from 100% rich golden amber colour grains, which feels heavy on your palm, It is carefully ground using hi-tech grinding process, it has 0% maida content and is 100% wheat atta. 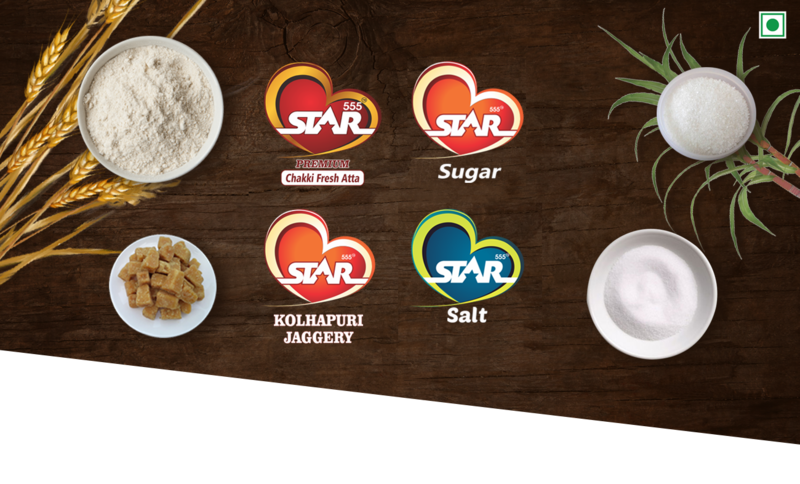 We ensure you get the pure, hygienic and superior chakki atta. 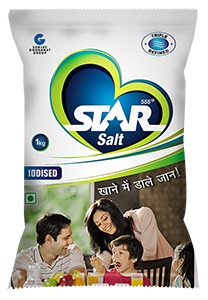 With high iodine and vacuum packaging, Star salt promises to double the taste of any delicacy. Take a generous pinch of STAR salt and crush between fingers to create magic. Life is not perfect, but your food can surely be. Alternative sweetener for sugar, with prolific health benefits. 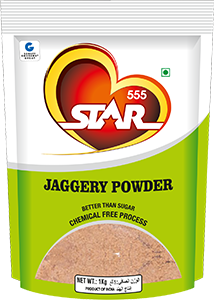 Chemical free and processed jaggery. 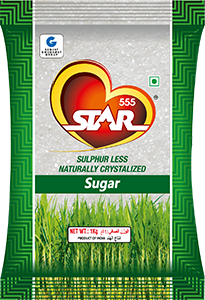 Finest quality Khandsari sugar made from chosen quality sugarcane under hygienic conditions and state of the art packaging. Copyrights 2018 Ghodawat Consumer Products LLP l Developed And Maintained By BFCworks.